Whether you're a startup, a Fortune 500 company, or somewhere in-between, DocuSign can help you securely sign, send and manage all the documents that keep your business running. Companies like HotelTonight, LinkedIn, Box and Salesforce use DocuSign to accelerate sales and improve productivity. Time is your startup's most precious resource and making efficient use of it will determine your success — or failure. Eliminate time wasted on printing, scanning and faxing, so your team can focus on higher value tasks. Discover how DocuSign can save your startup precious time and money by easily integrating with common cloud apps you're probably already using. Cut wasteful administrative work out of the loop! Sign on practically any device, virtually anywhere in the world, completing transactions that used to take weeks in just hours. With more than 3,500 integrations available—including Gmail, Google Drive, Google Docs, Dropbox, Evernote, and Salesforce—you can sign and send out documents within the technology you already use. 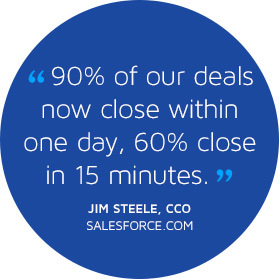 Your processes should move at the same speed as your business. DocuSign enables you to expand your customer base into the global market by helping you automate workflows and manage documents digitally from virtually anywhere in the world. DocuSign's industry-leading cloud service means you can be productive from day one, without requiring support from IT. Out-of-the-box connectors allow DocuSign to integrate with your CRM system, and with cloud services like Salesforce and NetSuite. 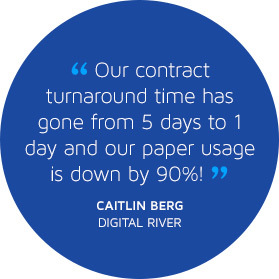 With DocuSign, you gain control and real-time visibility into the status of each of your transactions. You decide who sees specific documents, when they see it, and the order of who can sign.